Chimps of all ages and genders can learn the circular relationship used in rock-paper-scissors, a new study has shown. The study, Learning the rules of the rock–paper–scissors game: chimpanzees versus children., was carried out by Jie Gao of Kyoto University in Japan and Peking University in China, lead author. 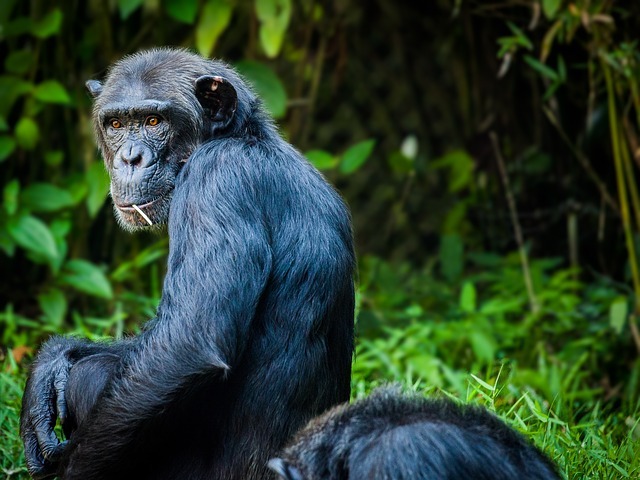 Gao's team wanted to see whether chimpanzees and children had comparable abilities to learn the game, and by doing so see whether chimps could understand extended patterns. Because the relationship between the game's three signals is non-linear, learning such patterns requires enhanced metnal capacity. The brains of Neanderthals were just as big as humans’ brains, according to new research. Virtual casts of skull fossils were used to reproduce the brain of a 50,000-year-old ancestor. Researchers found that overall it was equal to that of early humans but smaller in one region vital for memory and thinking. The Japanese team said this may have meant an inability to adapt and led to the species dying out. Neanderthals were known to have good eyesight, making them excellent hunters, which helped compensate for Europe’s low light levels. But it would have reduced the brain space available for social cognition. (Science) In what some scientists are calling a “one-in-a-million find,” archaeologists have discovered a cache of butchered rhino bones and dozens of stone tools on the Philippines’s largest island, Luzon. The find pushes back the earliest evidence for human occupation of the Philippines by more than 600,000 years, and it has archaeologists wondering who exactly these ancient humans were—and how they crossed the deep seas that surrounded that island and others in Southeast Asia. “The only thing missing is the hominin fossil to go along with it,” says archaeologist Adam Brumm, of Griffith University in Nathan, Australia. He’s the one who set the odds for what he calls a “very exciting discovery,” but he wasn’t involved with the work. Researchers found 75% of a fossilized rhino skeleton—ribs and leg bones still scarred from the tools that removed their meat and marrow—lying in ancient mud that had long since buried an even older river channel. 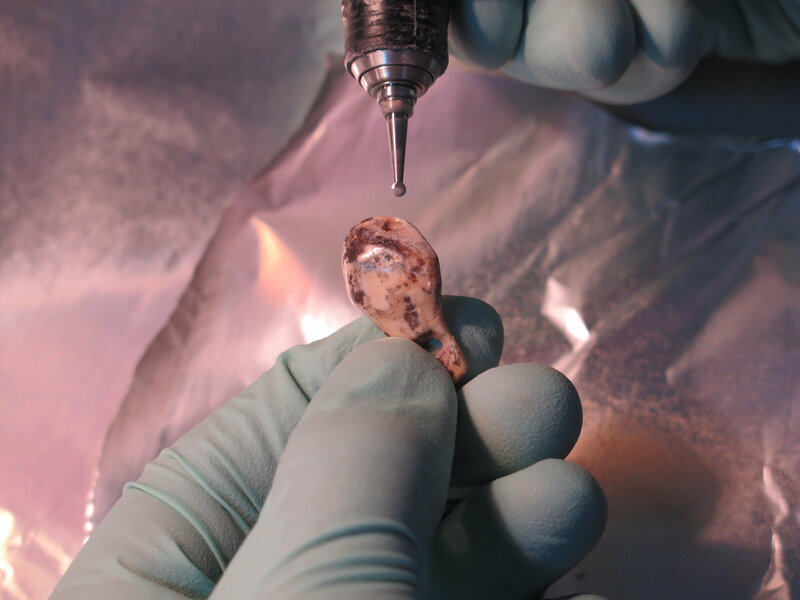 To determine the site’s age, researchers dated the enamel in one of the rhino’s teeth, as well as quartz grains embedded in the sediment layers above and below the bones, using electron spin resonance (ESR), which measures the buildup of electrons as a material is exposed to radiation over time. 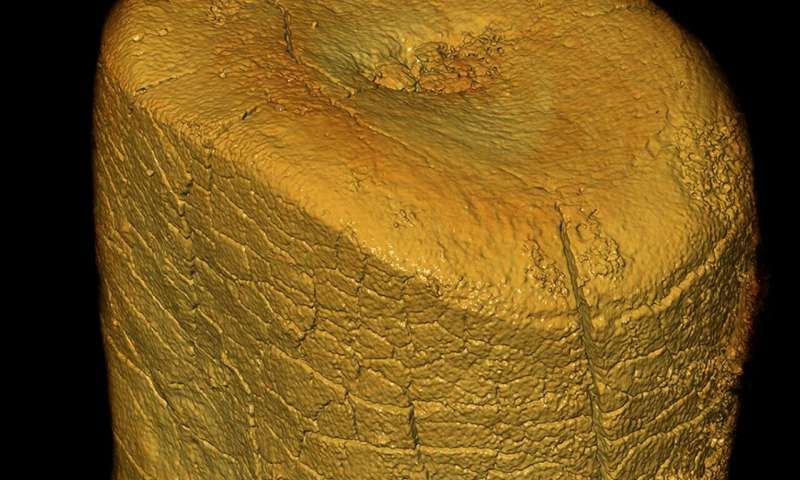 The team dated the bottom sediment layer to about 727,000 years old, the rhino tooth to about 709,000 years old, and the top sediment layer to about 701,000 years old. Several independent experts say they were impressed by the team’s careful use of the technique. “They’ve nailed it,” says Alistair Pike, an archaeological dating expert at the University of Southampton in the United Kingdom. Evidence of ancient humans in the Philippines has scientists wondering how they got there. Their brains were as big as ours, but keep in mind that Neanderthals also had more bone and muscle mass than humans, and they weighed more. Much of the mammalian brain doesn't support intelligent thought--it regulates autonomic functions (heartbeat, metabolism, reflexes, hormone levels), and as the animal's overall mass increases, the brain must get bigger simply to service more body mass. Relative to body mass, Neanderthals had smaller brains than humans, and the structure of their brain was different in ways that effectively lowered their IQs (as the article points out). If Neanderthals were alive today, they would probably be borderline retarded by our standards. (Cell.com) Neanderthals and modern humans interbred at least twice in the past 100,000 years. While there is evidence that most introgressed DNA segments from Neanderthals to modern humans were removed by purifying selection, less is known about the adaptive nature of introgressed sequences that were retained. We hypothesized that interbreeding between Neanderthals and modern humans led to (1) the exposure of each species to novel viruses and (2) the exchange of adaptive alleles that provided resistance against these viruses. Here, we find that long, frequent—and more likely adaptive—segments of Neanderthal ancestry in modern humans are enriched for proteins that interact with viruses (VIPs). We found that VIPs that interact specifically with RNA viruses were more likely to belong to introgressed segments in modern Europeans. Our results show that retained segments of Neanderthal ancestry can be used to detect ancient epidemics. (The Conversation) You probably think of new technologies as electronics you can carry in a pocket or wear on a wrist. But some of the most profound technological innovations in human evolution have been made out of stone. For most of the time that humans have been on Earth, they’ve chipped stone into useful shapes to make tools for all kinds of work. In a study just published in Nature, we’ve dated a distinctive and complex method for making stone tools to a much earlier timeframe in China than had previously been accepted. 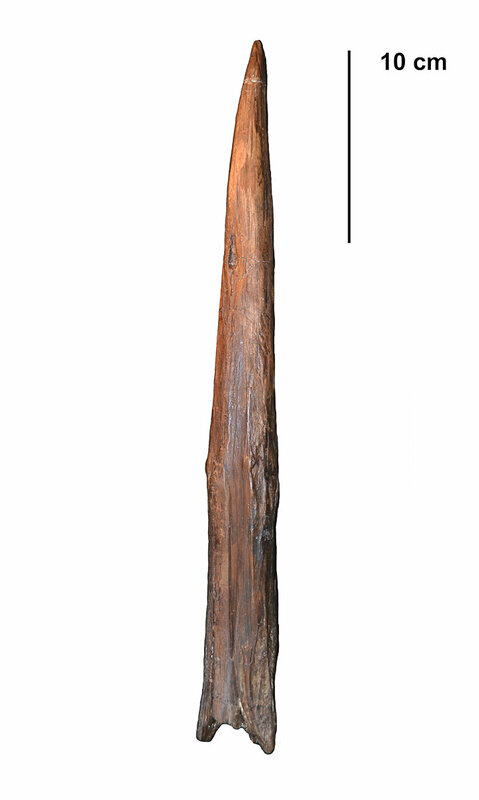 Archaeologists had thought that artifacts of this kind had been carried into China by groups migrating from Europe and Africa. But our new discovery, dated to between 170,000 and 80,000 years ago, suggests that they could have been invented locally without input from elsewhere, or come from much earlier cultural transmission or human migration. Levallois tools were a leap forward in technology, a new, efficient way to create tools that could cut, scrape, chop and make other types of tools. (Nature) No human has the brain of a Neanderthal — but some have hints of its shape. The brain shape of some people with European ancestry is influenced by Neanderthal DNA acquired through interbreeding tens of thousands of years ago, researchers report on 13 December in Current Biology. These DNA variants seem to affect the expression of two genes in such a way as to make the brains of some humans slightly less round, and more like the Neanderthals’ elongated brains. The Neanderthal DNA variants alter gene expression in brain regions involved in planning, coordination and learning of movements. These faculties are used in speech and language, but there is no indication that the Neanderthal DNA affects cognition in modern humans. Just for the moment, consider the possibility that some alien visitors did a bit of tinkering with one particular group of HUMANS, say for example those who were later called the Sumerians. Why do you assume the aliens would have tinkered with chimps and gorillas, rather than actual humans? This is actually similar to a fun little thought experiment I like to play from time to time. It doesn't really have a name, but perhaps I can dredge one up now and say it's called "From A Singularitarian Perspective". How it works is that you have to utilize Singularitarian and rational perspectives on various theories involving the ancient alien theory, ufology, ultraterrestrial theory, and various other paranormal theories. I realized that the conspiracy theory about the Anunnaki and Illuminati, for example, is a self-constructed box that prevents much rational thought from pointing out discrepancies and logical flaws. Let's entertain the possibility that the Anunnaki/Sumerian Gods did indeed engineer humans in ancient times. That's now a fact for the sake of this argument. The question then is: why? The Anunnaki theory seems, on the surface, to be sound. A very highly advanced civilization from Planet Nibiru needs gold to help save their atmosphere and prevent their own destruction after their planet collided with another. One of the planets that resulted from the impact called Earth has a lot of gold. At the time, over 400,000 years ago, Homo erectus was the most intelligent creature on Earth, closely followed by other species like Homo ergaster, Homo heidelbergensis, and Homo naledi. The Anunnaki genetically engineer various new humans out of Erectus— first the failed Neanderthals, and then the much more successful Sapiens— for the purpose of mining gold. We are essentially a slave race. When the Sumerian Gods saw their bases destroyed by climate change, they left with the intention of returning to collect their gold. If humans were the Anunnaki, we'd probably make these same choices. The problems with Zecharia Sitchin's mythology start amassing from the word go. Let's just start with Planet Nibiru: it supposedly lurks in the outer solar system, where there is no known source of solar energy to sustain life. This suggests the Anunnaki can support themselves without a star. So right off the bat, we're talking about a potentially Type 1.5 level civilization. And here comes the next major problem, this one something that Singularitarians will immediately ask: why do they need to go to Earth for gold? That's not even beginning to address why they'd need to send their own workers like Enki to mine gold— if they are capable of surviving without sunlight, that means they likely have mastered fusion and perhaps even antimatter power. In which case, such a society is certainly heavily (if not completely) automated. This is made even worse by the statement that the Anunnaki are 45 million years ahead of us. So they're 45 million years more advanced than us, but still utilize contemporary methods of mining. We aren't even 45 million years more advanced than chimpanzees. 45 million years ago, humans were rodent-like primates. We're expecting things such as full automation and molecular nanotechnology to come about within a century at most. To put into perspective how extreme a chance molecular nanotechnological engineering is, I came up with "atomism"— looking at Earth as a giant heap of atoms rather than a planet with complex ecosystems and finite minerals. Atomists don't mine or farm or refine or dig or anything— you get some matter and then you reorganize it into other matter. You can turn a glass of water into a bar of gold. You can turn a pile of dirt into a bar of gold. You can turn a bunch of micrometeors into a bar of gold. You can turn a heap of interstellar gas into a bar of gold. You likely get some energy out of this, something you can also use. We might have an atomist economy as soon as the 22nd century in a Singularity situation and at least some time this millennium if progress is more tempered. 45 million year-old miners, though?? Let's assume that atomism just isn't going to be a thing, then. You still have artificial intelligence + robots and mechanized factories. Even many modern mines today are highly mechanized and use few human workers. Why is 2018-era human technology superior to 45 million year old alien technology? Is it possibly because the mythology was created in the 1970s and these aliens were written as living in the year 45001970? Why engineer Sapiens when you could build robots to do the job? The common explanation I hear from sci-fi authors why some space-faring civilizations lack robots is "they're too expensive" or "they fought a war with robots and then banned their creation." Both of which are nonsense in real life. A real robot isn't that expensive unless you're looking to create a humanoid, and that's with 2018 technology when we haven't gotten these things down to pat. In another twenty years, creating bipedal humanoids might become so simple that you could buy one at Walmart. There is more than enough material to do this, even on Earth without bringing in asteroid mining. "But their brains!" Can be controlled externally. No one said every single robot has to have its own positronic brain. Why not create one megabrain and use it to wirelessly control these robots? "That runs the risk of rebellion!" We have no way of knowing that, however. It's possible, but even if it is, it's not certain. And even if it happens once, there's nothing saying it'll always happen. You need only learn from your mistakes. If you decide your mistake was creating the thing in the first place, you'll miss out on many potential benefits. A much more likely explanation, then, is that the Anunnaki created Sapiens as a novelty. Of course, that's still just within the thought experiment's bounds. Outside of it, the much more likely explanation is that Sapiens evolved and certain features like webbed fingers and toes are traits found in all Homo species, but seeing as we're the only extant Homo species left, we can only see it as an oddity. "Evidence suggests they were much stronger than modern humans, with particularly strong arms and hands, while they were comparable in height; based on 45 long bones from 14 males and 7 females, three different methods of estimating height produced averages for Neanderthal males from 164 to 168 cm (65 to 66 in) and 152 to 156 cm (60 to 61 in) for females. Samples of 26 specimens in 2010 found an average weight of 77.6 kg (171 lb) for males and 66.4 kg (146 lb) for females. A 2007 genetic study suggested some Neanderthals may have had red hair and blond hair, along with a light skin tone." Are you suggesting that all men weighing around 80kg are mentally retarded? I'm not very well versed in the Bible (and related texts), but damn does this sound like something straight out of the Bible. It's not hard to imagine how a bunch of Bronze Age farmers might interpret such a meteor strike as divine punishment. I mean, how would you explain a giant, fiery rock shooting from the heavens and turning your civilization to glass, if you didn't even have any concept of space, let alone asteroids? Archaeologists in Mexico have found the first temple to the pre-Hispanic deity Xipe Totec, a god of fertility and war who was worshipped by sacrificing and skinning captives. Evidence indicates that priests ritually sacrificed their victims on one of the temple's two circular altars, then flayed them on the other and draped themselves in their skin, Mexico's National Institute of Anthropology and History said in a statement. Historians have long known that Xipe Totec ("the flayed god") was worshipped by numerous peoples across what is now central and western Mexico and the Gulf coast. But the discovery—made among the ruins of the Ndachjian-Tehuacan archeological site in the central state of Puebla—is the first time a temple dedicated to the god has been found, the institute said. 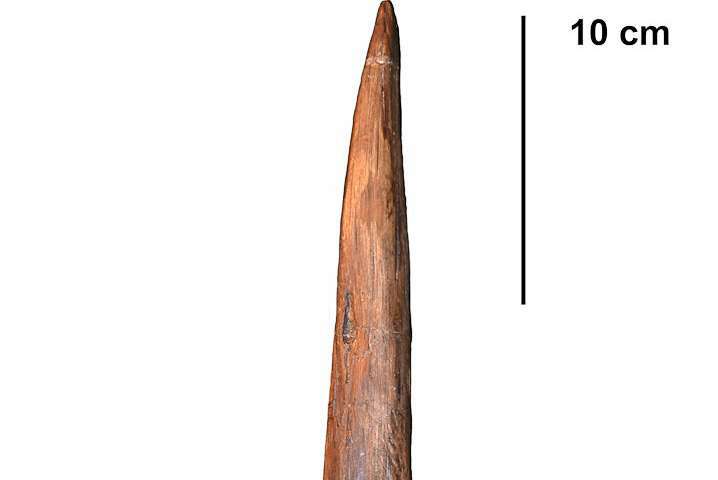 The study, published in Scientific Reports, examined the performance of replicas of the 300,000 year old Schöningen spears—the oldest weapons reported in archaeological records—to identify whether javelin throwers could use them to hit a target at distance. Professor Tom Higham and his team at the Oxford Radiocarbon Accelerator Unit at the University of Oxford worked in collaboration with a multi-disciplinary team from the UK, Russia, Australia, Canada and Germany, on the detailed investigation over the course of five years, to date the archaeological site of Denisova cave. Situated in the foothills of Siberia's Altai Mountains, it is the only site in the world known to have been occupied by both archaic human groups (hominins) at various times. The two new studies published in Nature, now put a timeline on when Neanderthals and their enigmatic cousins, the Denisovans, were present at the site and the environmental conditions they faced before going extinct. (Medical Xpress) What makes us human, and where does this mysterious property of "humanness" come from? Humans are genetically similar to chimpanzees and bonobos, yet there exist obvious behavioral and cognitive differences. Now, researchers from the Salk Institute, in collaboration with researchers from the anthropology department at UC San Diego, have developed a strategy to more easily study the early development of human neurons compared with the neurons of nonhuman primates. The study, which appeared in eLife on February 7, 2019, offers scientists a novel tool for fundamental brain research. 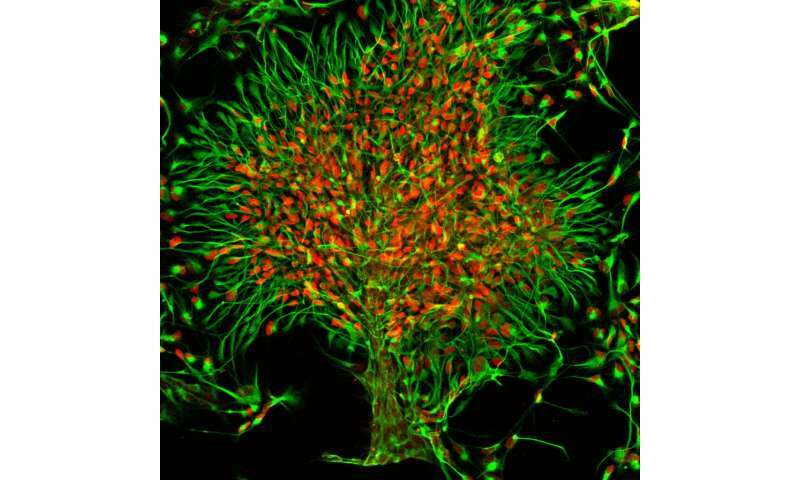 A stylized microscopy image of forebrain neural progenitor cells from chimpanzees. An international team of researchers has found evidence that suggests at least some Neanderthals were mainly fresh meat eaters. 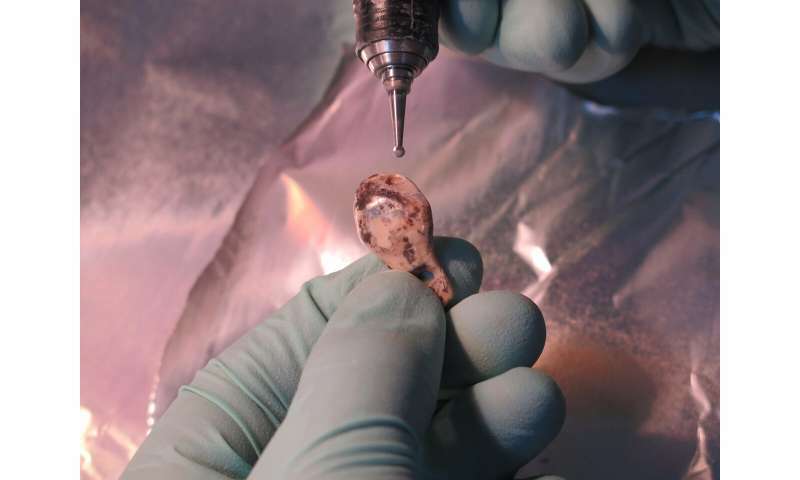 In their paper published in Proceedings of the National Academy of Sciences, the group describes testing protein samples discovered in Neanderthal bones and what they found. Ever since scientists discovered the extinct species of human we now know as Neanderthal, our view of them has been changing. Initially, it was believed they were much less intelligent than us, had few if any skills, and in general, were more ape-like than human. And that included their diet—big apes are vegetarian, so it seemed logical to conclude that Neanderthal were, as well. But research over the years has shown them to be far more sophisticated than researchers first realized—they even managed to mate with modern humans. One remaining mystery is why they vanished. In this new effort, the researchers have not found any evidence to solve that mystery, but they have found evidence that suggests Neanderthals were neither vegetarians nor scavengers content to eat meat killed by other animals. Starting in 2500 B.C. 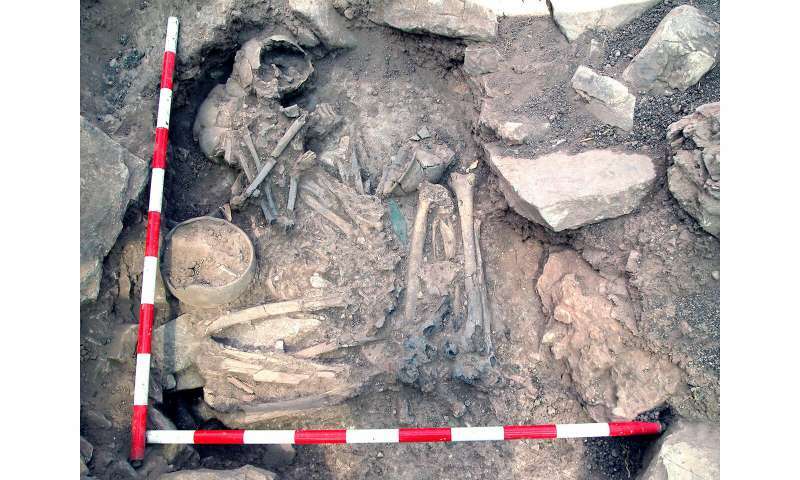 and continuing for about 500 years, the analyses indicate, tumultuous social events played out that reshaped Iberians' paternal ancestry continuing to today. 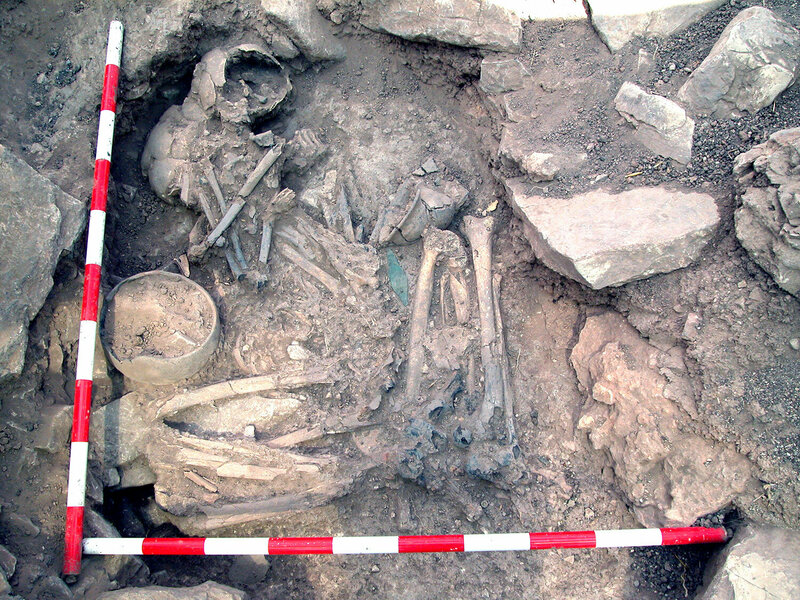 The work, published in Science March 15 by a 111-person international team led by researchers at Harvard Medical School and the Institute of Evolutionary Biology in Barcelona, Spain, also details genetic variation among ancient hunter-gatherers, documents intermingling of ancient Iberians with people from North Africa and the Mediterranean, and provides an additional explanation for why present-day Basques, who have such a distinctive language and culture, are also ancestrally different from other Iberians.